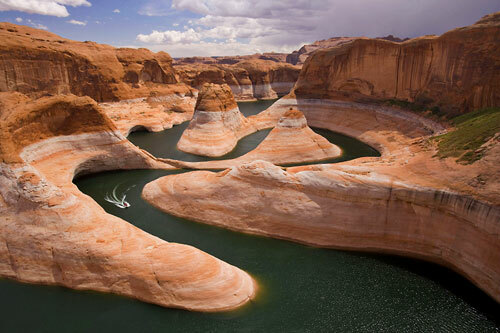 "Reflection Canyon" A Dry Red Season-Five years of drought lowered Lake Powell to its lowest levels since Jimi Hendrix played at Woodstock and Neil Armstrong walked on the moon. With the water down 2/3rds of its capacity, the canyon that was flooded, Glen Canyon, started to reveal it's self again. I went back to capture the beauty at it's lowest level, before it rose 50ft from snow melt while I was there.